Create well thought-out solutions that make life easier, with beautiful and tasty results! Maharaja Whiteline has been a leader in innovation ever since it's inception. 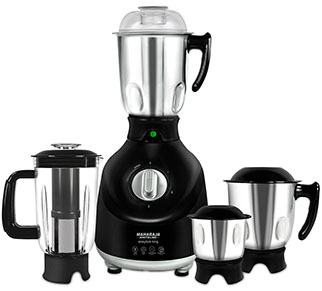 Brand introduced the very first "1,2,3... Maharaja Mixie", a unique solution for a full meal preparation with 3 jars - liquidizing, dry and wet grinding and chutney and it is constantly innovating ever since.